Annick is NutriLeads’ Chief Innovation Officer. She joined the Company in February 2018. After a postdoctoral position at the ETH of Zurich, Annick joined the first French biotechnology company, Transgène S.A.
After 14 years at Transgène S.A., she set up the Department of Microbiology of Ecosystems at the Institut Pasteur de Lille. In 2002, she took a Group Leader position in the Nutrition and Health Department of the Nestlé Research Center in Lausanne, Switzerland. 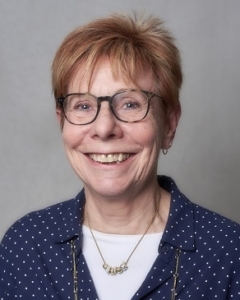 She was successively in charge of the Functional Microbiology, Allergy and Host-Microbe Interaction groups, and built and led the Gut Ecosystem department before retiring from Nestlé in January 2018. Annick obtained her PhD in at the Université Libre de Bruxelles. She is co-inventor of more than 50 patents and authored more than 100 peer-reviewed scientific publications.